Bull from temple of Eshmun, Lebanon. 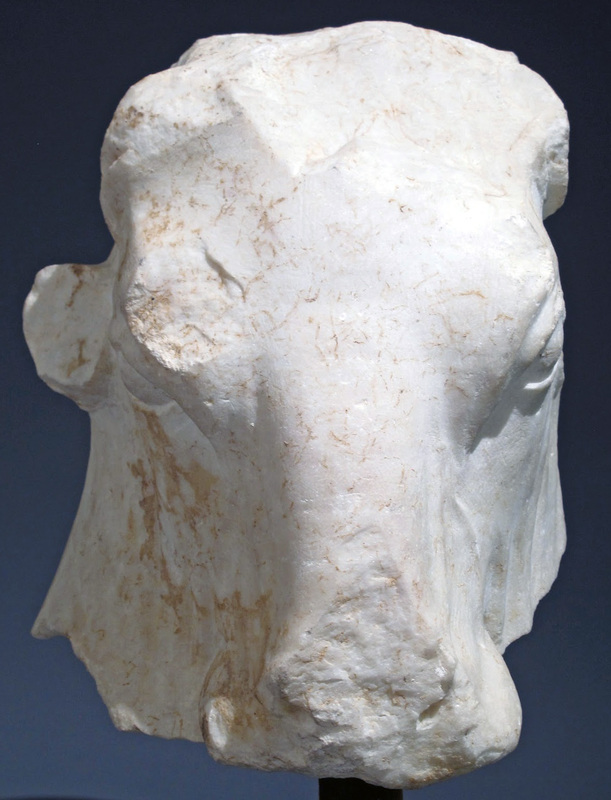 Colin Moyniham, "Couple Drops Lawsuit Over Disputed Antiquity", New York Times, October 13, 2017: "The calf bearer sculpture passed though some of the same hands as the bull's head, according to the letter. It too had been excavated at Eshmun and was stolen from the Lebanese Republic, prosecutors said. It was then sold in 1996 by Mr. Symes for $4.5 million to the Beierwalteses, who later sold it to Mr. Steinhardt, Mr. Bogdanos wrote." The bull's head was purchased for $1 million in 1996.